After getting off to a strong start, the global economy increasingly slowed as 2018 progressed. Future growth is endangered because free trade is losing advocates and major industrial nations, such as the USA and China, are pursuing interventionist policies to protect their economies against foreign competition. Companies are becoming noticeably more dependent on the decisions of individual governments – and not just since the UK decided to leave the EU. As a company that exports many of its products across the EU and to China, WACKER is directly impacted by these trends. From our own experience with polysilicon, we know how strongly trade restrictions and protectionism can impact operations. We are monitoring policy developments closely, since they might influence our business in the coming years. Despite these challenging political conditions, we consider ourselves well positioned to continue growing organically. Over the last 15 years, we have invested substantial capital in expanding our global production and sales network. In 2018, it was our chemical business, in particular, that benefited from these investments. We enhanced our market position in Western and Eastern Europe, and in China. Growth was particularly robust in silicones, where we are the Number 2 worldwide. WACKER’s main strength in this segment is our broad range of sophisticated products for key industries. The decision to give up majority control over Siltronic AG has made us more independent of cyclical markets and reduced the capital intensity of our business. With our 30-percent share in Siltronic, we continue to profit from its positive performance. WACKER’s good capitalization gives us the scope we need to pursue our long-term growth strategy. We financed all our capital expenditures in 2018 from cash flow. What is more, we have a high equity ratio and low levels of net financial debt. We believe that one of our core duties as an enterprise is to remain resolute in our defense of free trade. Indeed, we are convinced that free trade is the only way to create the future affluence and growth that will benefit increasing numbers of people around the world. In turn, the trend toward greater affluence will increase people’s desire for a better quality of life. This is where WACKER’s high-quality products have an important role to play. There are many more markets for us to develop and expand to grow our market share. The Supervisory Board wishes to thank WACKER’s employees for their commitment, hard work and achievements last year. At WACKER, sound corporate governance and control are built on a relationship of trust between the Executive Board and Supervisory Board as they work closely together in the company’s interest. In 2018, the Supervisory Board performed – with great diligence – the duties incumbent upon it under law, the Articles of Association and its own Rules of Procedure. The Supervisory Board was involved at an early stage in every decision of fundamental significance for the company. In both written and oral reports, the Executive Board regularly provided us with timely and comprehensive information on corporate planning, strategic development, business operations, and the current state of Wacker Chemie AG and the Group, including the risk situation and compliance issues. Outside of the scheduled Supervisory Board meetings, the Chairman of the Supervisory Board remained in close contact with the Executive Board, especially with the CEO, and was kept informed of the business situation, current trends and key business transactions. Any deviations from business plans and targets were explained to the Supervisory Board in detail. The Supervisory Board held five meetings in 2018, three (including the newly elected body’s inaugural meeting) in the first half of the year and two in the second half. Between meetings, the Executive Board informed us in detail by means of written reports about all projects and plans of particular importance to the Group. At its full meetings and in its committees, the Supervisory Board discussed in detail, on the basis of the reports submitted by the Executive Board, business transactions of importance to the company. The full meetings were prepared by shareholder and employee representatives in their own separate sessions. All Supervisory Board members attended at least half of the meetings of the full Supervisory Board. All committee members attended all of their respective committee meetings. The Supervisory Board discussed the WACKER Group’s plans for 2019 at its meeting of December 6, 2018. On that occasion, the Supervisory Board also dealt with medium-term corporate plans for the period 2019 – 2023. In addition, it discussed and approved the capital-expenditure budget for 2019. The Audit Committee met four times last year. Its work included the audit of the annual financial statements of Wacker Chemie AG and the Group for 2017 and of the consolidated interim financial statements for the first half-year. It also discussed the Group’s quarterly financial figures, CSR reporting, and issues relating to risk management, compliance and auditing. The committee monitored the independence of the auditors and also discussed the additional services they had provided. Moreover, the Audit Committee submitted a recommendation to the Supervisory Board for the latter’s proposal at the Annual Shareholders’ Meeting for appointment of an auditor for 2018. It then awarded the auditing contract for 2018 and determined the focus of auditing. The Executive Committee met twice in 2018, discussing personnel matters in relation to the Executive Board (e. g. determining overall compensation, setting the performance goals for variable compensation, preparing a recommendation to the Supervisory Board regarding the renewal of Auguste Willems’ contract). Last year, the Supervisory Board again looked closely at corporate-governance standards. At its meeting of December 6, 2018, the Supervisory Board dealt with application of the German Corporate Governance Code and adopted the annual Declaration of Conformity that must be submitted jointly by the Executive and Supervisory Boards in accordance with Section 161 of the German Stock Corporation Act (AktG). Shareholders can access the Declaration on the company’s website. At its meeting in December 2018, the Supervisory Board also discussed the efficiency of its activities and found that it works efficiently – one reason being the regular preliminary discussions regarding the Supervisory Board meetings. KPMG AG Wirtschaftsprüfungsgesellschaft, Munich, audited the annual financial statements of Wacker Chemie AG for 2018, the consolidated financial statements and the combined management report (as of Dec. 31, 2018), as prepared by the Executive Board, including the relevant accounts. The Supervisory Board’s Audit Committee had awarded the auditing contracts in accordance with the resolution of the Annual Shareholders’ Meeting of May 9, 2018. The auditors issued unqualified audit reports. 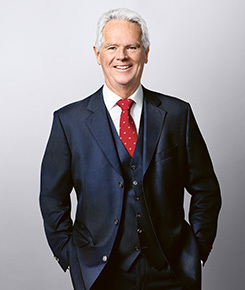 At its meeting of February 26, 2019, the Audit Committee examined and discussed in detail the above-mentioned financial statements, the combined management report, the combined non-financial report for Wacker Chemie AG and the Group (as per Sections 289b and 315b of the German Commercial Code – HGB) as well as the auditors’ reports. At its meeting of March 13, 2019, the full Supervisory Board closely examined and discussed the relevant annual accounting documents – including the combined non-financial report for Wacker Chemie AG and the Group – with knowledge and in consideration of both the report of the Audit Committee and the auditors’ reports. The auditors took part in the deliberations at both meetings. They reported on the main results of the audit – in particular the key audit matters described in the auditors’ report – and were available to answer questions and provide supplementary information. We therefore approve the annual financial statements of Wacker Chemie AG and the consolidated financial statements as of December 31, 2018 as prepared by the Executive Board. The annual financial statements of Wacker Chemie AG are hereby adopted. We concur with the Executive Board’s proposal for the distribution of retained profit. The shareholder representatives on the Supervisory Board of Wacker Chemie AG were elected at the Annual Shareholders’ Meeting held in Munich on May 9, 2018. On that occasion, Ann-Sophie Wacker was newly elected to the Supervisory Board to replace Dr. Thomas Strüngmann, who had not stood for re-election. All the other shareholder representatives were re-elected to the Supervisory Board. At its inaugural meeting, directly after the Annual Shareholders’ Meeting, the Supervisory Board confirmed Dr. Peter-Alexander Wacker as its chairman. The employee representatives on the Supervisory Board had been elected by Wacker Chemie AG’s employees and executives before the Annual Shareholders’ Meeting, with Ingrid Heindl being elected to the Supervisory Board to replace Dagmar Burghart as employee representative. Harald Sikorski stepped down from the Supervisory Board with effect from October 31, 2018. At the Executive Board’s request, Jörg Kammermann was appointed to the Supervisory Board by order of the District Court of Munich on November 14, 2018. At its meeting on March 6, 2018, Wacker Chemie AG’s Supervisory Board confirmed Auguste Willems’ membership on the Executive Board and renewed his contract for a further five years (until December 31, 2023).